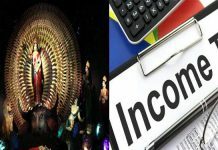 Kolkata: Calcutta High Court has extended the stay by two more days on the disbursement of financial aid to community Durga Puja committees in Bengal by Mamata Banerjee government. A further hearing into the matter is likely to take place tomorrow. This notwithstanding, the stay will be in place till 11 October. This is even as the Chief Minister has already claimed that the government has already disbursed the money. 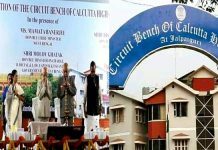 Acting of a public interest litigation, a division bench of acting Chief Justice Debasish Kar Gupta and justice Shampa Sarkar had on 5 October said that the state government cannot disburse the aid till 9 October, that is, today. The bench had also asked the state government to furnish an affidavit explaining the basis the beneficiary Puja committees are being selected and whether there is a guideline as regards the distribution and accountability for the aid. During the hearing today, the advocate general argued that it is the discretion of the state government to select the beneficiaries and the HC cannot intervene in the matter. To this, Chief Justice Kar Gupta said that since this concerns public money, the HC wants to ensure that there is no leakage. 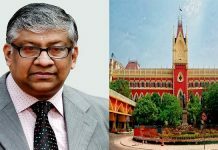 In his argument on behalf of the petitioners, advocate Bikash Ranjan Bhattacharya said that giving aid to a religious event like Durga Puja by the state is unconstitutional. He pointed out that a few years ago, the same HC had declared Mamata government’s decision to give allowance to Imams and Muezzins as unconstitutional on the same principle. On hearing both the sides, the bench extended the stay by two more days.